Samsung J5500 shipping with wrong EDID? Monitor Tests Forum > Samsung J5500 shipping with wrong EDID? 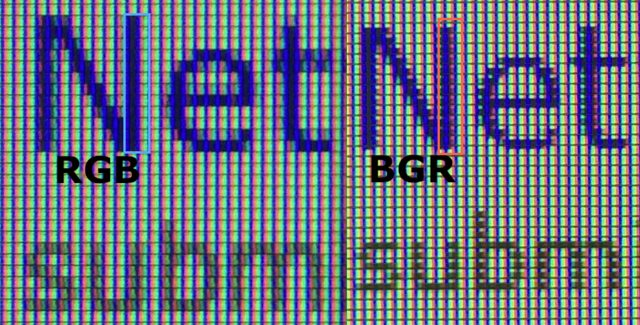 Samsung's J550 has a BRG subpixel order yet the EDID list it as RGB. The error in the EDID constantly mixes any PC/MAC connection with a 1080P 60Hz source. I have set the connection label to PC to enable 4:4:4 Chroma. Windows ClearText helps a bit but does not correct the problem. Likewise, OSX's font smoothing barely has any effect and is worse than ClearText with BGR. Here some screen shot taken in OSX. Another example of where the BGR order wreaks havoc with text. Notice the holes with BGR while RGB has solid lines. 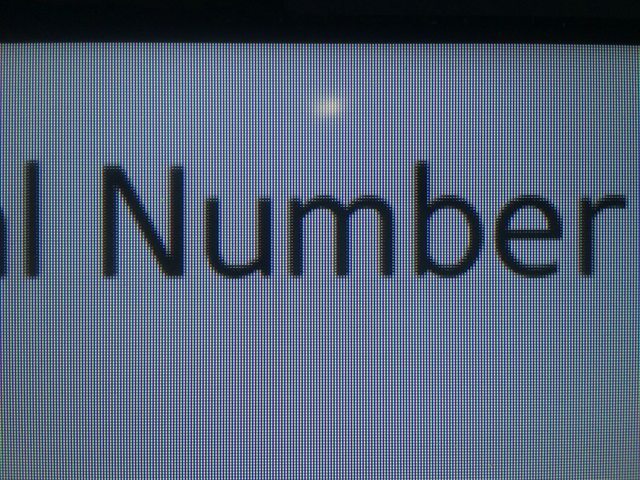 The problem does not occur within the menu screen, this is a picture of the Serial Number display in the EDID. An easy solution would be for Samsung to release an update to the EDID or an EDID override but I'm not too comfortable editing the EDID myself. Anyone have any ideas how to fix this, or at least bring it to Samsung's attention? RE: Samsung J5500 shipping with wrong EDID? That's not an EDID issue. The EDID does not list the subpixel order. OS X has no way to control the subpixel order. The only solution is to rotate the display 180 degrees and use it upside-down.